Posted at: 2/28/2013 09:01:00 PM . Most of my readers are probably already registered on Starbucks.com for their reward program, but if you're not a member now is a great time to join. 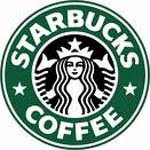 New users that register any Starbucks giftcard on their website by March 14, 2013 will get a free $5 Starbucks gift card. Registering your Starbucks card is a great way to earn rewards as well. Rewards include free drinks and food, along with other special offers.